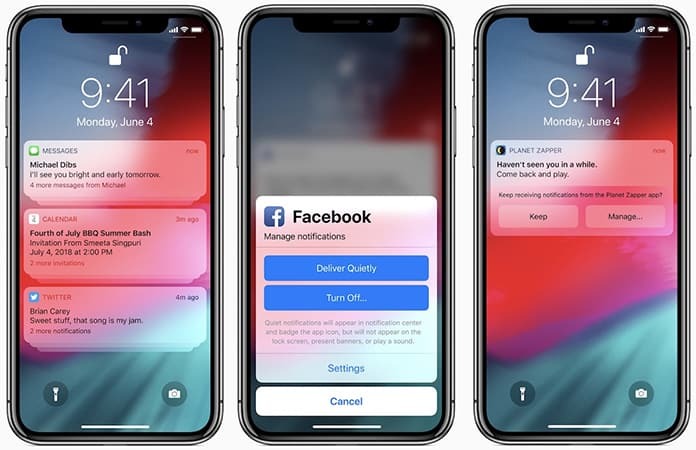 Yesterday, Apple introduced iOS 12 – the most advanced mobile operating system. The first beta version of iOS 12 is available for the registered developers only. But you can also install iOS 12 beta 1 directly without a computer using the iOS 12 configuration profile. We will teach you how to install it and test it on your iPhone, iPad or iPod Touch. iOS 12 comes with a plenty of new innovations, including new ARKit capabilities, Siri features, new screen time management, grouped notifications, new Animoji, group FaceTime calls, Photos app improvements, redesigned Stock & News app and several more features. Before you start, we strongly recommend you to backup your device via iTunes or iCloud to keep your data safe. 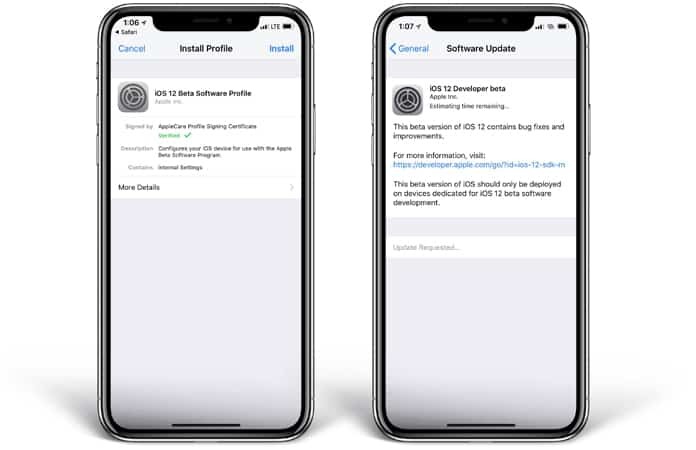 After the backup step, you can follow our step by step guide to install iOS 12 beta 1 via the OTA software update. iOS 12 is designed to work on 64-bit devices only. If you own an older device, then do not try to install this profile. 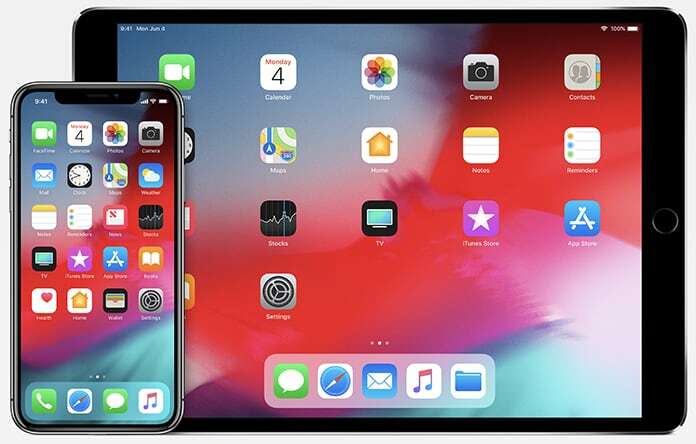 See our dedicated article here to discover whether your device is compatible with iOS 12. Step 2: Tap the Allow button and install the iOS 12 configuration profile on your iDevice. Step 3: Now you will be asked to reboot your device. Tap Restart to complete the installation of the configuration profile. Step 4: Wait for the device to reboot. After that go to General – Software Update and you will see the iOS 12 Developer beta update waiting for installation. Step 5: Tap Download and Install to start the iOS 12 Beta 1 installation process. The iOS 12 beta 1 software update will be downloaded and installed on your device. Make sure your battery is charged and you have a good WiFi connection. Once your iPhone is updated, after the installation you can enjoy the iOS 12 features on your device. We must inform you that this is a beta version and it’s not stable. But if you are really excited about it – you can try it on your device. If you are not satisfied you can always downgrade to the latest stable version. Do you like the first iOS 12 beta? Share your thoughts with us in the comments section below.